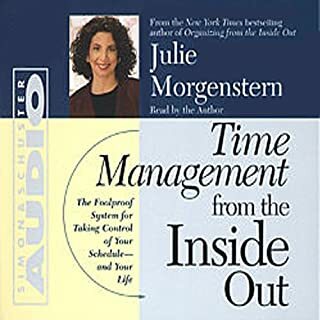 Hundreds of thousands of people have broken through the clutter and streamlined their lives with Julie Morgenstern's proven techniques. There's no magic, no mystery. Getting organized is a skill that anyone can learn. 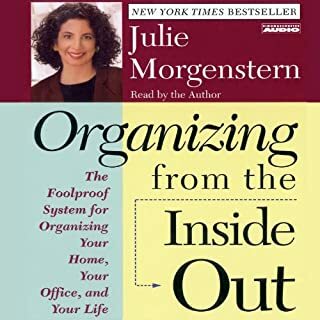 The beauty of Julie's system, honed during her many years as a professional organizer, is that it enables you to design a unique organizing plan based on your individual goals, natural habits, and psychological needs; a plan that will work with your personality rather than against it. Are you eager to make a change but unsure what's next? 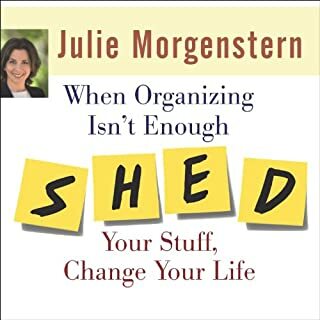 Organizing works when you know where you're going but don't know how to get there. But sometimes organizing isn't enough. When you're eager to make a change in your life but are unsure of your new destination, you need to SHED. 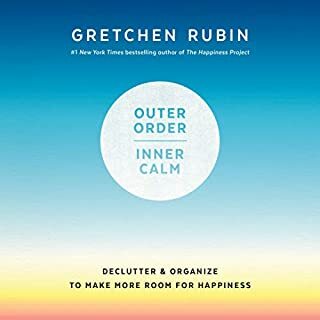 One Sunday afternoon, as she unloaded the dishwasher, Gretchen Rubin felt hit by a wave of homesickness. Homesick - why? She was standing right in her own kitchen. She felt homesick, she realized, with love for home itself. In a flash, she decided to undertake a new happiness project, and this time, to focus on home. And what did she want from her home? A place that calmed her, and energized her. A place that, by making her feel safe, would free her to take risks. Also, while Rubin wanted to be happier at home, she wanted to appreciate how much happiness was there already. 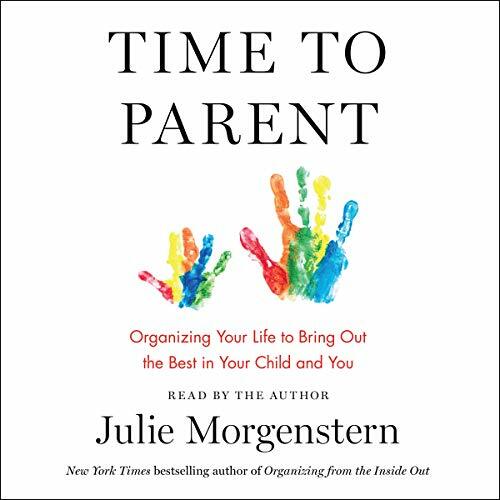 The best-selling organizational guru takes on the ultimate time-management challenge - parenting, from toddlers to teens - with concrete ways to structure and spend true quality time with your kids. 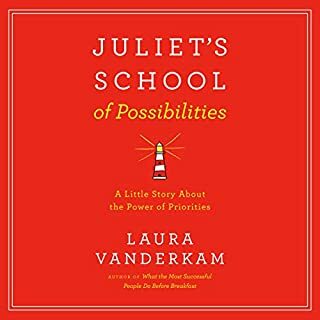 A unique framework with eight quadrants that separates parenting responsibilities into actionable, manageable tasks - for the whole bumpy ride from cradle to college. Clever tips to make the most of in-between time - Just 5-15 minutes of your undivided attention has a huge impact on kids. 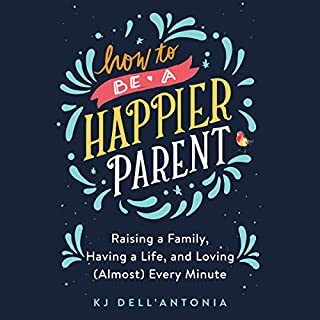 Easily one of the best books that I have come across for parents! It is a fabulous mixture of research based practical strategies and real life examples! I just finished and can’t wait to listen again! I have already sent a screen shot of the book to my closest friends with the message... get this book ASAP! Thank you! Thank you! Thank you, Julie! Now, it is time to implement! Thinking about setting up a book club-ish group, since I feel compelled to ACT! A more peaceful mind and home is on the other side... Don’t hesitate for a second about getting this book!